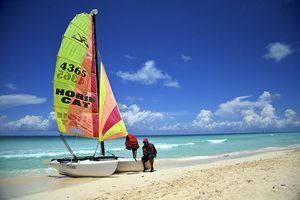 The island of Cuba, surrounded by the unrivalled Caribbean Sea, stands out amongst the rest of the countries that form the Antilles due to its magnificent natural areas hidden alongside the unmistakable character of the Cuban people, making it a place found within dreamt trips. The unbeatable beaches, its fabled natural parks and enchanting villages are only some of the marvelous places you will have the opportunity to visit during your trip to Cuba. In contrast to every other country in the world, Cuba is the only one which contains the necessary features for sustainable development, as it finds itself at the same time in the midst of development, but in line with its ecological condition. This can be seen through its sugar, coffee and tobacco plantations, the province of Pinar del Río being a great example of this due to also having a seemingly infinite amount of protected areas. All this, along with its pharmaceutical industry and exportation of a qualified workforce, constitutes the island’s main source of revenue. The island’s capital, Havana, with its deep history, latent revolutionary spirit and cultural richness will inspire you to visit Cuba’s innumerable points of interest to the flow of the island’s unmistakable rhythm, the best example of which is found on its famous Malecón (esplanade). This way, you will be able to get to know the most important places you won’t find anywhere else such as: Old Havana, with its magnificent port, the Morro Cabaña Military History Park, the many interesting City Museum, Colonial Art Museum and Rum Museum, the Plaza de Armas (Military Square), San Cristóbal de la Habana Cathedral, the Bacardí Building, San Francisco de Asís Monastery, Real Fuerza Castle, among others; Vedado and Havana Center, where you will be able to enjoy its distinct atmosphere in the Plaza de la Revolución containing a Mural of Che Guevara and the José Martí Memorial. 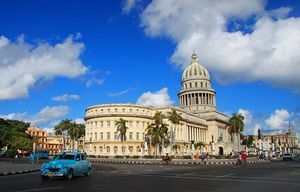 You can visit the National Capital Building in Havana, Museo de la Revolución, National Museum of Fine Arts and San Salvador de la Punta Castle. You will also be able to take advantage of the opportunity to try typical mojitos and its diverse gastronomy or appreciate the peculiar way of life in the Chinese Quarter. 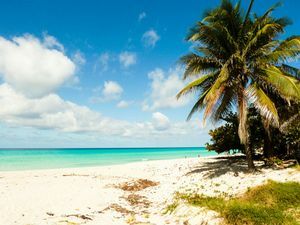 On the other hand, its spectacular beaches are also one of Cuba’s main attractions and which highlight renowned areas such as Varadero, in the beautiful province of Matanzas, with its 22km-long coast lined with lush vegetation and warm, crystalline waters where the Playa de Varadero and Playa Azul are waiting to be found, surrounded by hotel complexes that turn it into a miniature Miami. 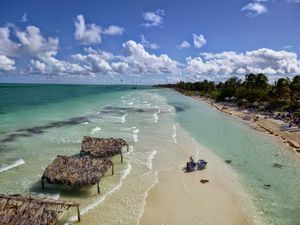 Even more is Santa María Key and the beautiful Mayabeque beach, two of the most preferred places to go by those who love sunbathing and days on the beach. 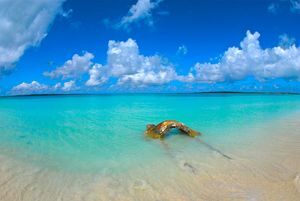 This is also the case in Ciego de Ávila, given its two touristic focal points: Coco Key and Guillermo Key. 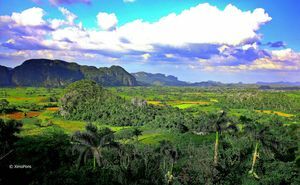 What’s more, the island encompasses a vibrant history which begins in Baracoa, the oldest island in all of Cuba, also with incredible beaches, mountains and one of the island’s best national parks, the Alejandro de Humboldt National Park. 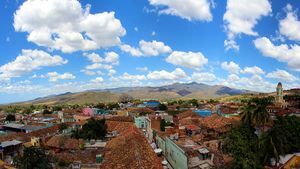 Meanwhile, the island’s most combative and revolutionary side can be seen in cities such as Santiago de Cuba, with important areas such as the Museo de Ambiente Histórico Cubano, along with the symbolic Céspedes Park, the close-by Nuestra Señora de la Asunción Cathedral, and provinces such as Villa Clara, where the Cuban Revolution took place and where the beautiful town of Remedios is found, along with the popular Santa Clara and the strategic Caibarién. You will also find picturesque areas that will bring to mind some European destinations, such as in the maritime city of Cienfuegos, the best place to admire colonial architecture as you walk through its streets, throughout which you will see, for example, José Martí Park and Paseo del Prado in whose surroundings you will find a small natural paradises, such as Guanaroca Lagoon, Cienfuegos Botanical Garden and the natural enclave El Nicho. Just as much as the others, you will have to visit Sancti Spíritus if you wish to truly discover the deep beauty of this Caribbean island’s various styles of buildings and the origins of this town as it houses the first seven towns founded by Diego Velázquez, with Trinidad at its forefront due to its valuable architectural ensemble, and named, along with Valle de los Ingenios, a World Heritage Site by UNESCO. 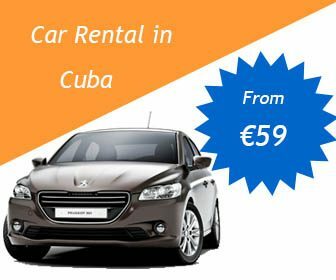 What’s more, it contains some of the most valued natural expanses such as the Topes de Collantes National Park, Escambray, Blanco Key, the Salto del Caburní and the Caguanes National Park. 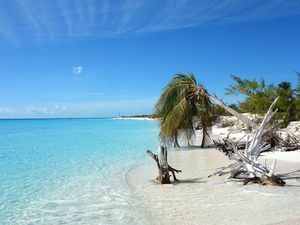 However, if you prefer to take advantage of all the island has to offer in a peaceful atmosphere, as a family and far from large crowds of tourists, we recommend you put Isla de la Juventud, in the South of the island, on your list of places to visit. 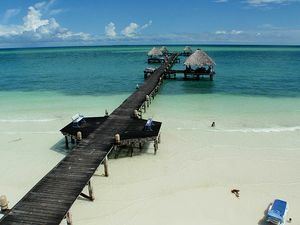 Here is where fascinating, clear water beaches such as Playa Paraíso, the most extreme sides of nature in the Jungla de Jones or the Reserva Ecológica Los Indios, and the culture of its capital, Nueva Gerona, all come together. 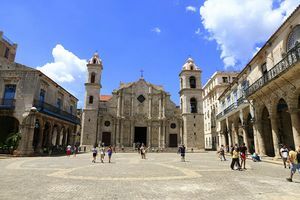 As such, Cuba houses all manners of places suitable for all the desired ways of experiencing Cuba first hand, taking in its paradise beaches and its untouched nature while at the same time learning about its distinct culture and revolutionary history. If this is the first time you are going on a trip to Cuba, we recommend you pay attention to the section ‘Travelling to Cuba’, where you will find information about the most deep-rooted traditions, tourism, climate and all other necessary information in order to enjoy your unforgettable trip.